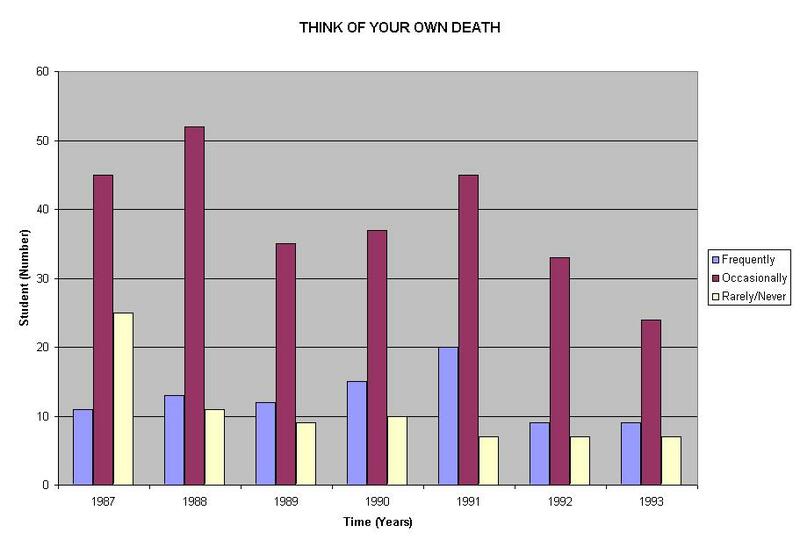 The following graph is the result of the question asked in many classes, "How often do you think of your own death?" What do teenagers think of when they think of their own death? Mostly it's about how they are going to die. 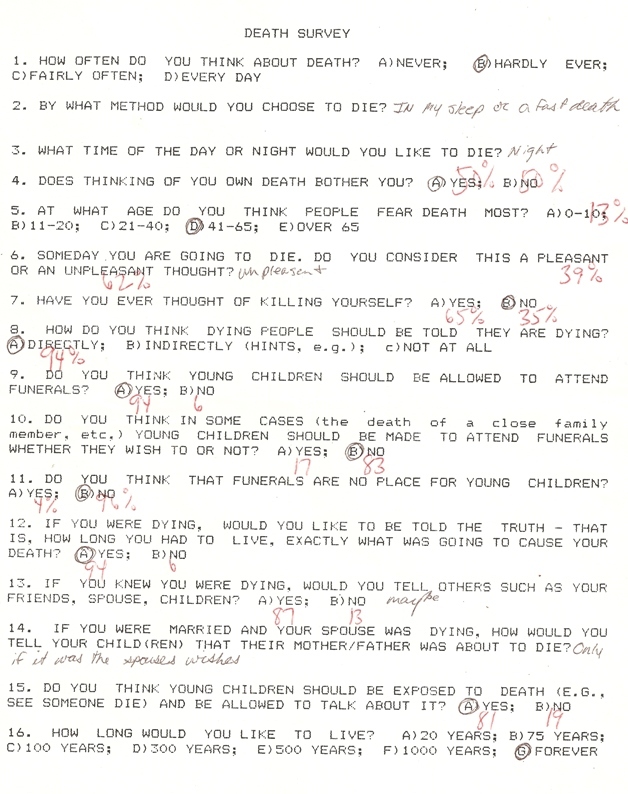 Most want to die suddenly - murder, gunshot, automobile accident, etc. Some wish to be engaged in an activity, such as walking down stairs with the thought of falling down those stairs and being instantly killed. Driving a car and crashing into a stationary object such as an electric pole was often expressed. Dying while being heroic was a popular thought. Have they ever wished someone dead? Most have. Having a bad time with some individuals would lead to a lack of remorse over that person's death. One girl stated she had wished a lot of people dead, but felt her feelings might change if it really happened. She just wanted them out of her life. Many indicated they have wished their mother to be dead, but few wished the same thing for their father.